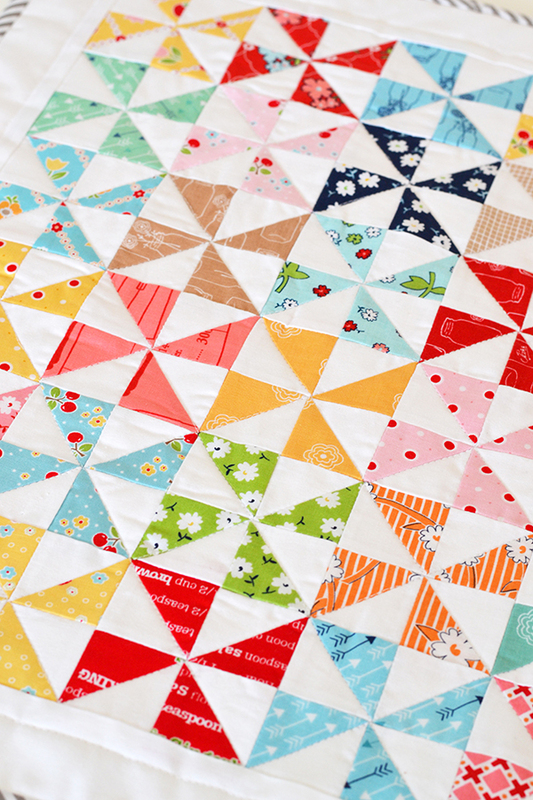 It's a #farmgirlfriday again and this Friday it's my turn as guest blogger to make a block in the Farm Girl Vintage sew-along. Thank you for stopping by today! 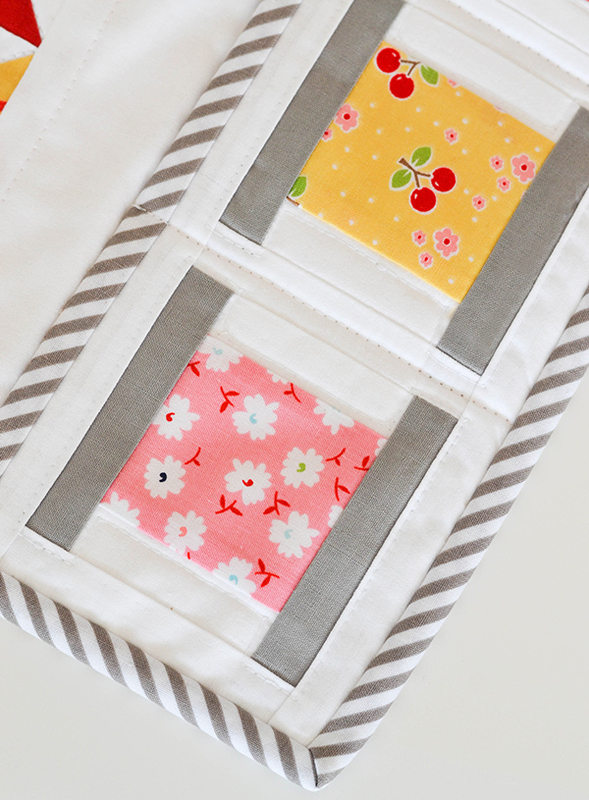 This is the book we are sewing along to: Farm Girl Vintage by Lori Holt of Bee in My Bonnet. 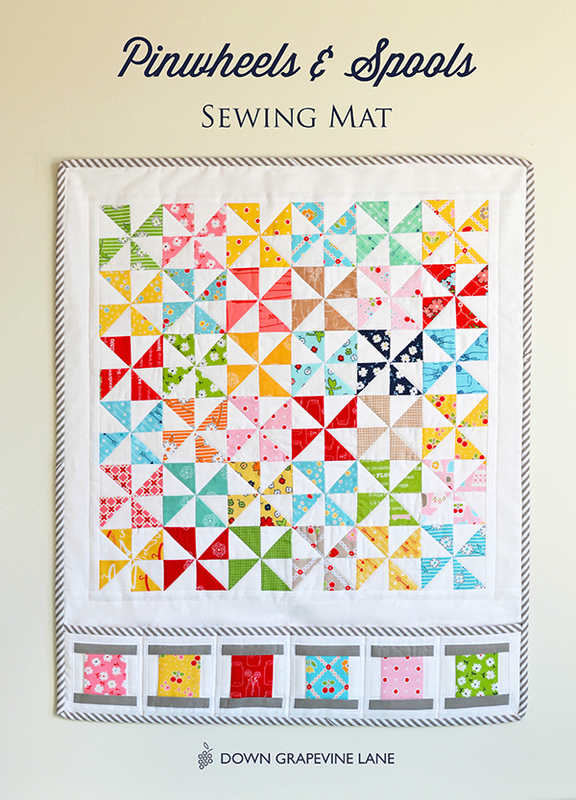 It has detailed instructions on how to make 45 of the sweetest blocks in two different sizes (6" and 12"), and lots of project ideas with detailed instructions on how to combine these blocks into several different quilts (including the one on the cover), table runners, pot holders, and lots and lots more. 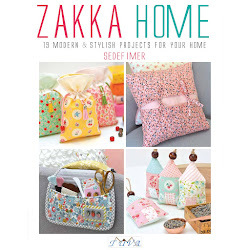 It's packed with inspiration, and stunning photography. 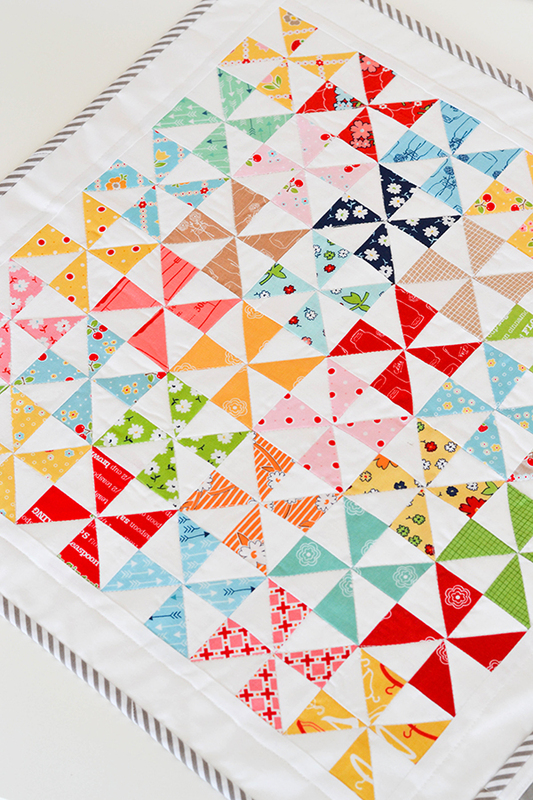 This week we are sewing the Pinwheels Block. A classic block, and one of my personal favourites. .... which then turned into this. Can you guess what it is yet? Ta-dah! 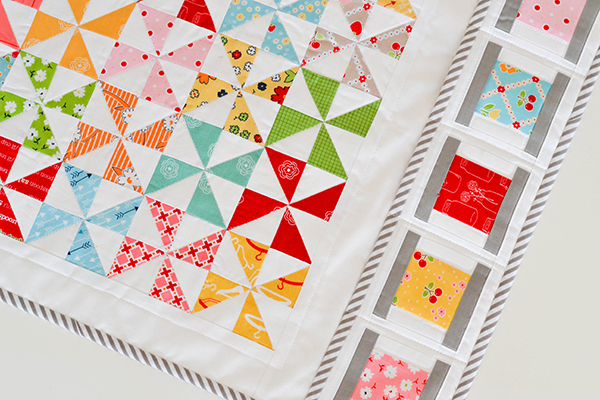 I used the pinwheel blocks to make one of the patterns from Lori's second book, Quilty Fun (you can see it just peeking under Farm Girl Vintage in the second pic above). 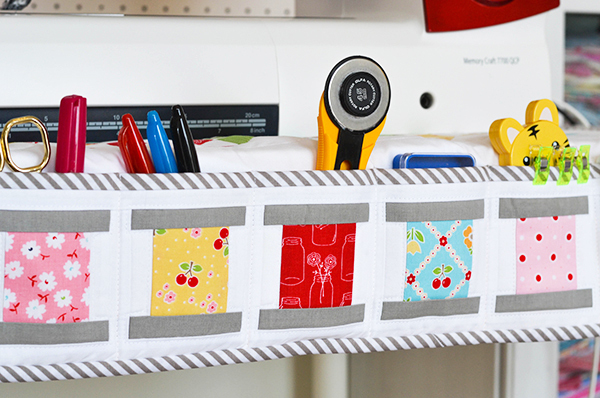 It's a sewing machine mat featuring some super-useful pockets adorned with spools. 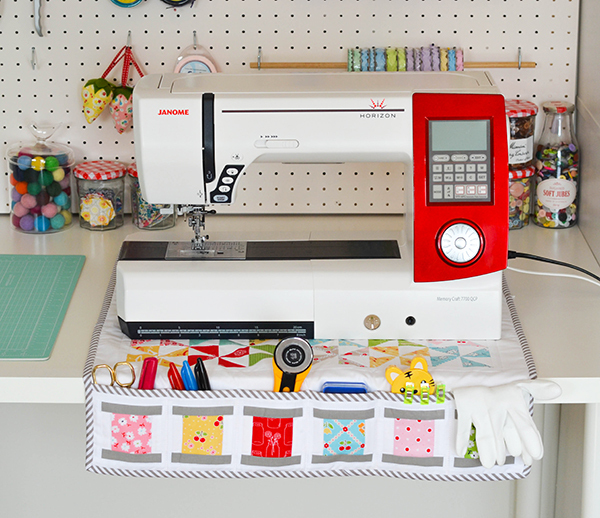 Just the thing I needed for my new big sewing machine, as my old mat was way too small for it. 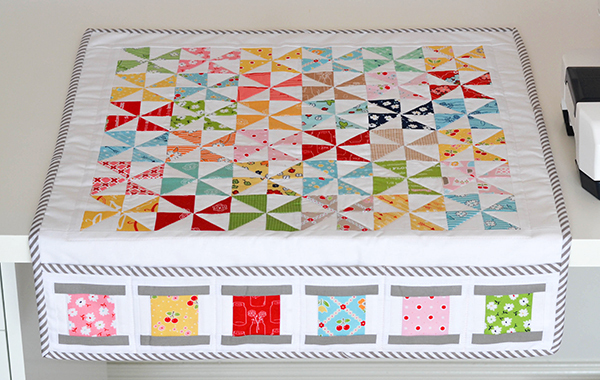 I adapted the sewing mat pattern to add one more spool to make it wide enough, and added a white border around my pinwheels also, to make everything fit together nicely. 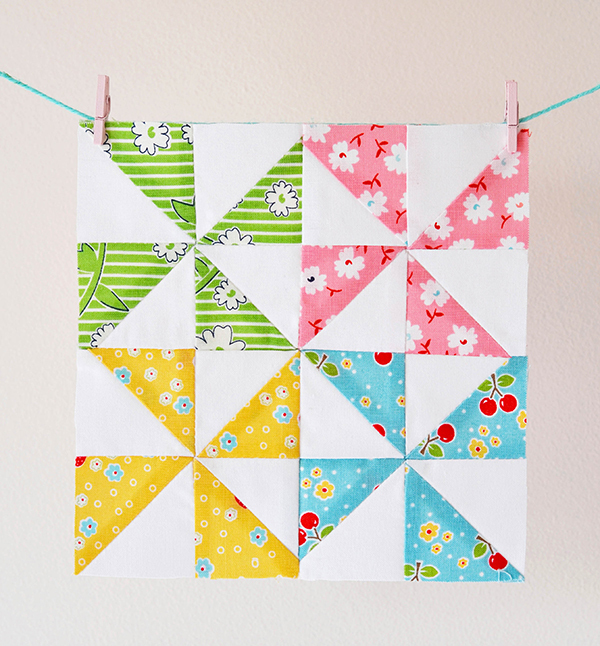 Pinwheels in cheerful colours make me smile. Every time. 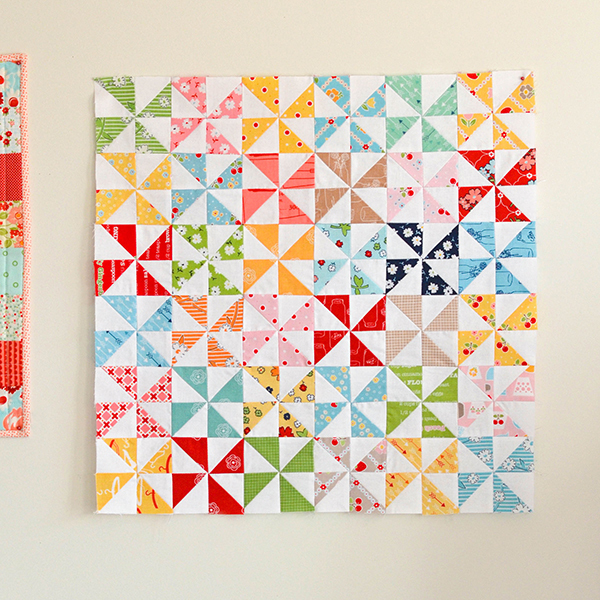 A big thank you to the Fat Quarter Shop and Lori for inviting me to join in on the fun! 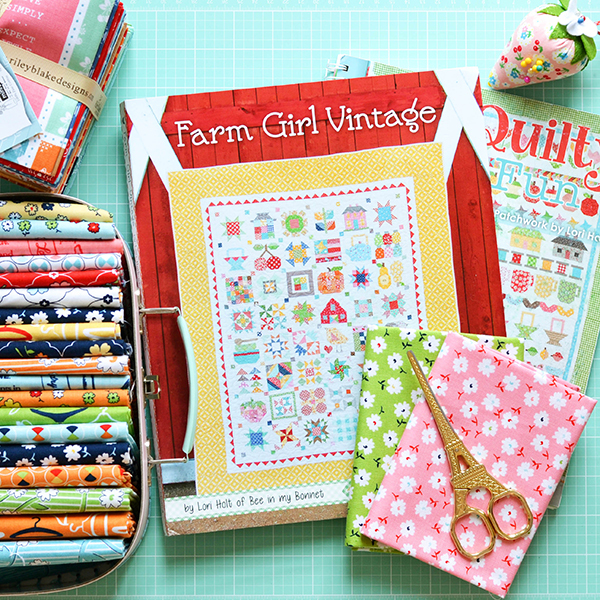 For more Farm Girl Vintage inspiration pop over to Lori's blog, and Fat Quarter Shop's Farm Girl Vintage sew-along page which has the full sew-along schedule. Enjoy! 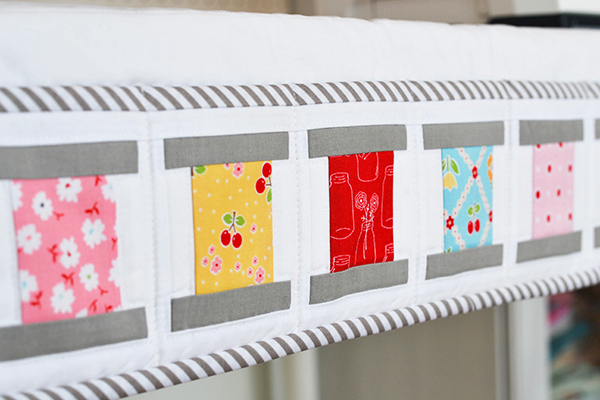 I love your mat, can you tell me the name of the stripe fabric? Thanks Claudia :) The grey stripes are by Tasha Noel, from her 'Little Red Riding Hood' collection.